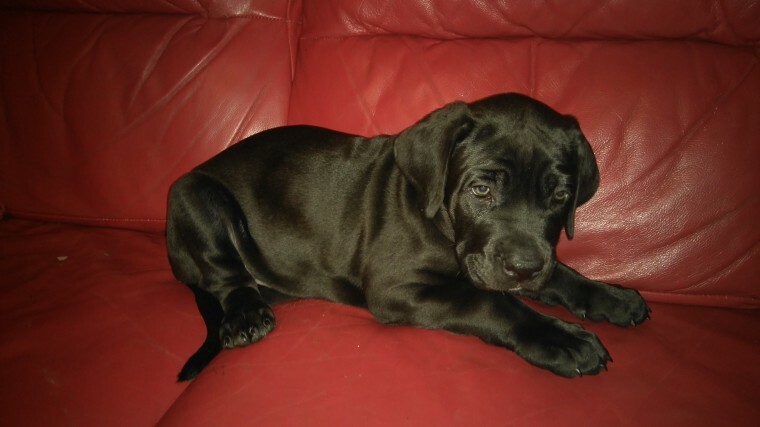 Pick of The Litter Quality healthy Cane Corso Puppy Black Boy 1200 Can be seen with mother. Both parents are pure bred Cane Corso Italian mastiff. Brilliant with other dogs and children. Can be viewed now. Wormed and flead. Nearly paper trained and socialising well with litter mates. Mother fed a high quality diet as recommended. Eating high quality dry food.